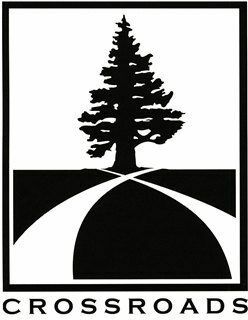 The Crossroads program was created in 2001 in response to the interest of the Marin Academy community to become active in addressing the economic and educational divide in San Rafael. In researching this issue, the program's founding team witnessed the challenges that many San Rafael children face. They found that whether due to socio-economic status, limited access to information, immigrant status, large class sizes, and/or language barriers, many students attending San Rafael public schools were in need of individual attention and supplemental learning experiences that could help them fully realize their potential. In an effort to develop a local program based on closing the education gap, the Marin Academy program focused on the creation of Crossroads academic enrichment based programming for San Rafael youth. Crossroads identifies ambitious and motivated seventh and eighth graders attending San Rafael public schools to work with over the course of three years (two academic years and three summers). During this time, the program aims to reinforce academic skills, build self-confidence, facilitate success in high school and college, as well as promote responsibility, integrity, and leadership. Crossroads offers an academic school year programming in the form of homework support, individual tutoring and leadership development classes. Crossroads students are also invited to participate in a dynamic full service 5-week summer program that is offered on the Marin Academy campus in partnership with Aim High. Students who are currently in seventh grade and attend either Davidson Middle School or Venetia Valley School are eligible to apply to the Crossroads/Aim High program at Marin Academy. Applying to Crossroads begins with a written application that includes a student statement and parent/guardian statement. Applications are made available at an information night in September. Additionally, a number of copies are given to Davidson Middle School and Venetia Valley School. Once accepted, students and their families make a 2-3 year commitment to Crossroads/Aim High. We expect students to aim for 100% attendance, follow through with all assignments, treat themselves and others with respect, and make the most of every activity, situation, and encounter. Families have an important role in the Crossroads/Aim High program. We ask them to partner with us in supporting their children through the entirety of their involvement. We also expect families to attend family events, and encourage them to contribute their presence, time, and talents whenever they can. Se habla español – para más información en español, por favor llama Abby French. Is the Crossroads/Aim High program a summer camp? No. Crossroads/Aim High is a year-round program that requires a three-year commitment from students and families. Each summer, students attend a five-week session, Monday through Friday. During the school year, students engage in after school tutoring and monthly Saturday School sessions. Do you provide any meals? We believe that good nutrition is a necessary component to academic success. During the summer session, Crossroads/Aim High students are served breakfast, a midday snack, and lunch. During Saturday School sessions, we provide lunch only. We work hard to provide healthy, nutritious, and balanced meals. When and how do students apply to the program? Students who are in the sixth grade at a San Rafael public school are eligible to apply. The application process includes two major parts: a written application and an interview. At the beginning of the school year, the Crossroads/Aim High director Abby French visits Davidson Middle School and Venetia Valley School to do classroom presentations and make applications available to students. There is also an information night for prospective students and parents each fall. The application itself contains a section for parents/guardians to complete, a section for the student to complete, a teacher recommendation form, and a transcript request form. Once the written application is processed, students and their parents are contacted for an in person interview. Admissions decisions are sent to all families shortly after the interview. Each year, we aim to admit a new class of twelve students. As Crossroads/Aim High is designed for low-income families, there is no tuition. Students in the program, however, are expected to participate fully, attend every session, and complete all assignments. In addition, we expect families to give their full support to the work and goals of the program. Crossroads/Aim High provides transportation to and from Marin Academy's campus during the summer session. The bus route changes each year, depending on where our students live. Who are the teachers in Crossroads/Aim High? The Crossroads/Aim High summer faculty is comprised of both professional teachers and high school and college students who are interested in careers in teaching. Having a diverse faculty is an important aim of the program. We hope to provide students with a group of teachers whose backgrounds reflect theirs. We believe this enhances the teaching and learning. During the school year, high school volunteers work in the after school tutorial program. At Crossroads/Aim High, we enjoy working with students from low-income families that represent a range of skill levels, interests, and backgrounds. The primary criteria for admission are motivation, ambition, energy, work ethic, a positive spirit, academic potential, and the willingness to commit to the full three years of the program. Crossroads/Aim High is fortunate to work with such a culturally rich and diverse community as the greater San Rafael area. Our families represent a variety of languages, national origins, family structures, ethnicities, and life experiences. We celebrate and embrace these diversities. Crossroads/Aim High makes every effort to create a nurturing, safe space for all children and all families. What is the curricular focus of the program? First and foremost, Crossroads/Aim High is an academic program. Especially during our summer sessions, our teaching philosophy centers on reinforcing basic skills, taking teaching and learning outside of the classroom as much as possible, facilitating project-based learning, and helping students recognize their specific learning needs. Our overarching aim is to guide students in "learning how to learn" so that they can negotiate any future educational endeavor. The arts are another focus of the program. During summers, students engage in arts classes that in the past have included drama, dance, video production and bookmaking, to name a few. All of our arts classes culminate in a major final project or performance. Additionally, we believe in the value of outdoor activities and cultural experiences. The summer sessions feature one major trip of this nature per week. In the past, Crossroads/Aim High students have participated in field trips such as ropes courses, film screenings, museum visits, rock climbing and sea kayaking. How is Crossroads/Aim High funded? Crossroads/Aim High is funded through generous contributions from individuals and foundations. To learn more about how you can support Crossroads/Aim High, please contact Abby French.